Arlington, Texas – The release and re launch event at Eko Lounge Arlington revealed a modest and classy attendance. The event which was a huge success by every standard also featured live Jazz entertainment by Francis ONAH, fashion show by Suke Fashion and the traditional cake cutting session with the lovely cake provided by MyGi’s Desserts. The event which was held in conjunction with Jen-Gerbread marketing created an atmosphere for guests to catch an exclusive glimpse of the all new redesigned Trendy Africa Magazine website. It also created an environment for networking and relaxation especially for those coming off a long week at work. Other great supporting brands at the event include; AXXESS consult, Black Beauty Management, the Inspire Experience and Living color through designs. Ayekoto, IKAY AFRIQUE, Face of CILLA, Ankara REBEL, Bhywla’s couture, Haberdashery custom apparel and Applesoft Health care also joined in to support the event. -Thanks Trendy. 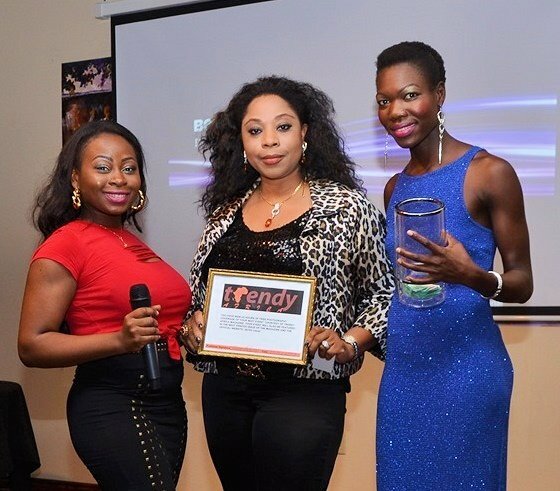 We had a good time…Funmi F.
-Nice event that was put together yesterday by Trendy Africa…Helen F.